Preconception care. Prenatal care. Physiologic changes. Ultrasound. Prenatal diagnosis and screening for aneuploidy. Carrier screening for inherited genetic conditions. Before labor and first stage of labor. Second stage of labor. Third stage of labor. Intrapartum fetal monitoring. Analgesia and anesthesia. Operative vaginal delivery. Cesarean delivery. Trial of labor after caesarean delivery. Early Recurrent pregnancy loss. Early pregnancy loss. 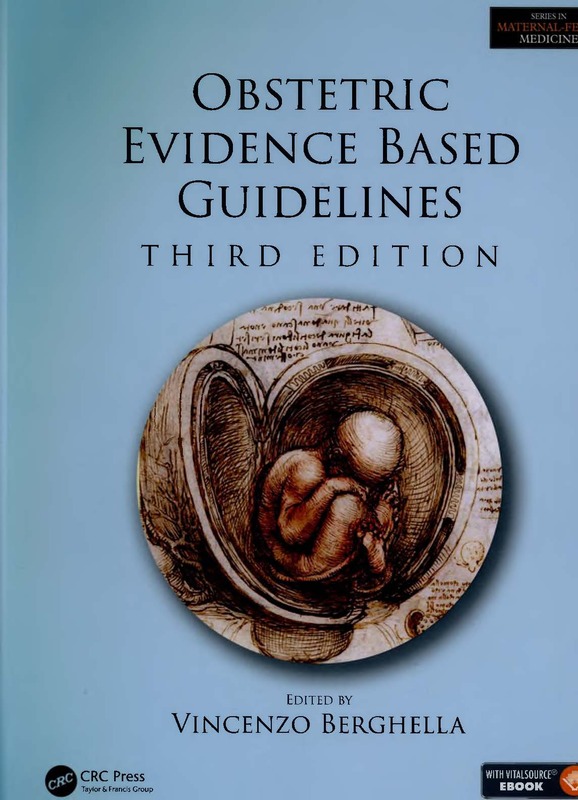 Preterm birth prevention in asymptomatic women. Preterm labor. Preterm premature rupture of membranes. Premature rupture of membranes at or near term. Induction of labor. Intraamniotic infection. Meconium. Malpresentation and malposition. Shoulder dystocia. Postpartum hemorrhage, retained placenta, and uterine inversion. Late-term and postterm pregnancies. Placental disorders. Abruptio placentae. Postpartum care. The neonate. The adnexal mass. Cervical cancer screening and management in pregnancy.